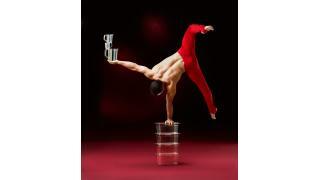 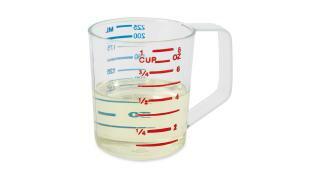 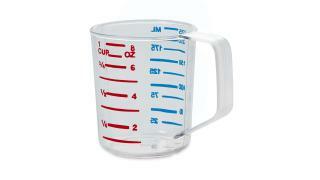 The Rubbermaid Commercial Bouncer® Measuring Cup is constructed of break-resistant, clear polycarbonate. 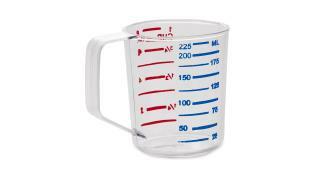 Metric measurements marked in blue and cup measurement marked in red. 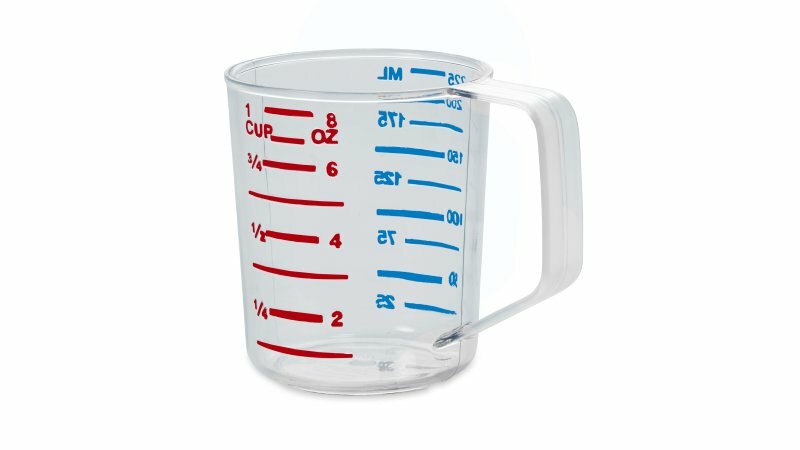 The Rubbermaid Commercial Bouncer® 1 Cup Measuring Cup is clear for fast, easy identification and measurement of contents. 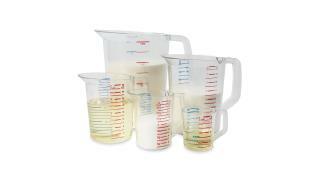 It's made of break-resistant polycarbonate.